Mobile phones have transformed the ways in which people communicate, work, and learn unlike any other technology before. In particular, the increasing use of social media on mobile phones provides novel properties for learning and education. This emerging convergence is deemed to be relevant to empower and support learners and professionals in marginalized areas in low income countries. The proposed research investigates the role of mobile social media as a means to facilitate learning and collaboration in rural settings in Sub-Saharan Africa. More specifically, the project will examine whether, and, if so how, mobile social media (like groups on WhatsApp or Facebook) can be systematically used to train community health workers, to increase professional connectedness/participation and to enhance problem-solving capacities. For this purpose, the primary investigator, Christoph Pimmer, will work as post-doctoral visiting researcher of the Columbia University, New York, and of the Institute of Education, University of London with community health workers in the Mwandama Millennium Village in rural Malawi. The comparative, pluri-method and m ulti-site case study design is operationalized in two main phases: Firstly, to address the question of whether and how the informal, day by day usage of mobile (social) media by health workers results in effective forms of work-related learning, field studies will be performed. In the second phase, community health workers will be invited to participate in a mobile social media space (e.g., WhatsApp groups). There they will be able to they receive support from supervisors, to engage with medical refresher content and peers. Through a field experiment it will be investigated to what extent the intervention impacts on the level of health knowledge, on professional connectedness/isolation and on problem-solving capacity. Data analyses will be finalized at the Institute of Education, University of London and at The Earth Institute – Columbia University, New York. Pimmer, C., Linxen, S., Gröhbiel, U., Jha, A., & Burg, G. (2012). Mobile learning in resource-constrained environments. A case study of medical education.Medical Teacher.35(5), e1157-e1165. Pimmer, C., & Pachler, N. (2014). Mobile learning in the workplace. 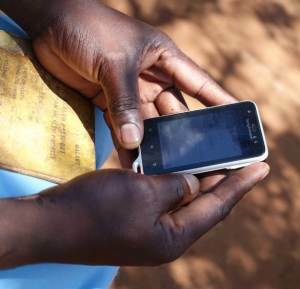 Unlocking the value of mobile technology for work-based education. In M. Ally & A. Tsinakos (Eds. ), Increasing Access through Mobile Learning (Vol. 1, pp. 193-204). Vancouver: Commonwealth of Learning Press and Athabasca University.